I finished! 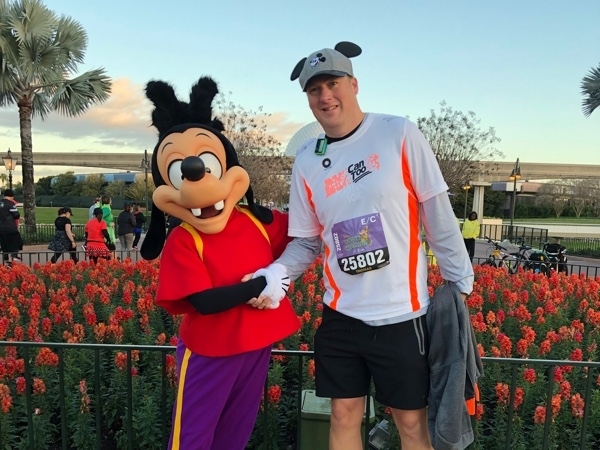 12 stops along the way for photos with Mickey and the gang, 6 school bands, a gospel choir, and 6 hours, 26 minutes, 47 seconds after stepping over the start line I finished! I really wasn’t looking forward to the marathon after not especially enjoying the half marathon, particularly as I wasn’t feeling that great and it was the fourth day in a row with a 3am alarm clock for a 3:30am bus to the start line. It went much better than anticipated though, and I really enjoyed it. 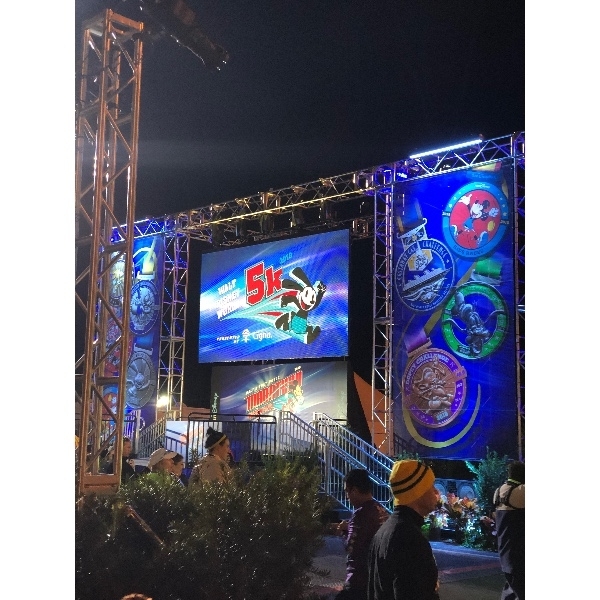 Disney knows how to put on an event. It started in the Epcot car park like all the races, but within a few miles Space Mountain came into view and we’d turned into the Magic Kingdom and around the corner into Main Street USA towards the famous castle. Out of the Magic Kingdom and down the freeway again to the Animal Kingdom, and the half way point. It was interesting to see the back of all the attractions as we ran through the service roads to enter and leave the parks. The giant roller coasters look like industrial units from the back complete with loading docks and garbage bins. I don’t particularly enjoy roller coasters at the best of times, but the highlight of the run for some was going on a ride in the Animal Kingdom on the way out. The boring part was the freeway from there to the ESPN Wide World of Sports along an interminable freeway. It was pretty good when we got there as we ran through the stadium and around the running track with School Bands playing us on. A quick stop for photos with Mickey and Minnie and onwards for more freeway running to Hollywood Studios and then through the resorts to the Epcot lake. The Epcot lake was a highlight of all of the runs, partly as having got there you knew there was only a couple of miles left. Past the golf ball, out of the park through the service road, and there was a Gospel Choir singing us on for the final half mile out into the car park and the finish line. SIX Medals! More photos to come when I get back to Australia, I can’t seem to upload them from my iPad. It was definitely a once in a lifetime experience that I’d recommend to anyone who wants to do a crazy amount of running. It was entirely knocked me out though and it’s only 10 days later that I’m feeling back to normal, but what an achievement! THANKS to everyone who has sponsored me. When I set the target of $4,000 I wasn’t at all sure I’d be able to make it, but your generosity has been amazing, thank you. It really is a fantastic cause, and between us we’ve raised $10,000 for cancer research and prevention! Half done... on the bus for the Full! 3:15am and I’m on the bus for the full marathon. 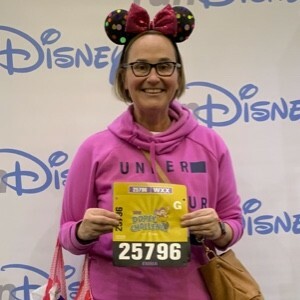 “Runners are strongly encouraged to board the buses by 3:30 to ensure that they are at the start line in time” says the sign in the hotel reception. If it’s anything like yesterday there will be a large amount of walking and even more waiting before we get to the start line. At least yesterday’s start was a bit faster and our corral only left 45mins after the official start. The half marathon was not a great run for me, didn’t feel on top form from the start, and just wanted to get it over and done with. Still, the atmosphere was good, particularly in the Magic Kingdom which we finally got to after a fair amount of freeway running. It was pretty magical to see the castle as we turned down Main Street USA. 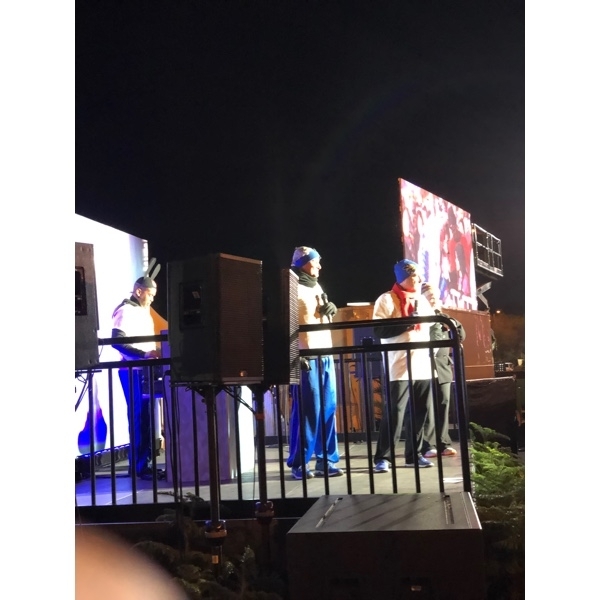 In Disney style there was piped Zipity Do Da music in the parks, and DJs, school bands, and gospel choirs scattered throughout the boring bits of the course. Here goes for the full marathon! Half way there... sort of! Finished the second of four races, so half way! Sort of. 15km done and 63.3km to go! Started like a seasoned pro this morning, the best $22 I spent yesterday (out of a ridiculous amount of Disney merch spending) was on a pair of gloves which together with the space blanket from yesterday kept me much warmer at the start. Our corral passed over the start line just as the winners were getting in the busses to go home, but you can’t help but think it’s more fun at the back of the pack. 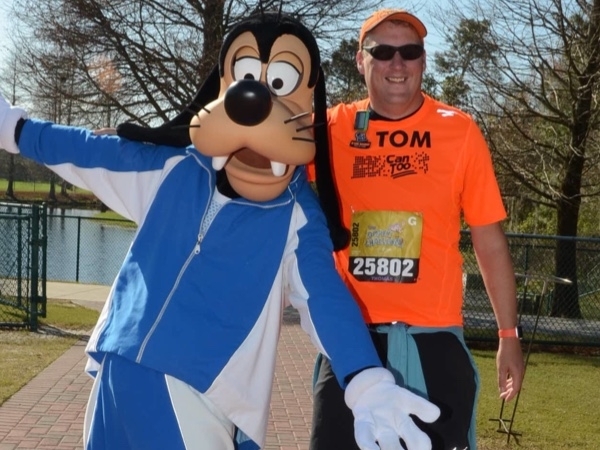 This is not a race to get a personal best, so why not stop and have your photo taken with a character! The trouble is my knowledge of Disney stopped about 25 years ago so I have no idea who half the characters are, but I did line up for who I thought was Goofy but it turns out it was Max Goof, Goofy’s son! Off to Animal Kingdom and Hollywood Studios today, before another 3:30am start for the half marathon tomorrow! Thanks for all your donations, getting really close to $4,000 now! 5km done, 73.3km to go! The worst thing about this running business is the getting up ridiculously early in the morning. 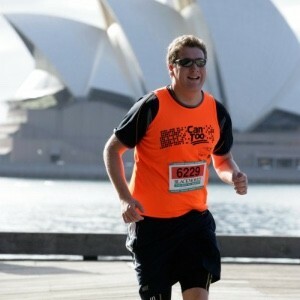 Last weekend I got up and was running at 5:30am to beat the Sydney heat. It was 28 degrees when I finished at 7am. This morning we also managed to beat the heat with a 3:30am start. Thankfully I’m still rather jet lagged so it was surprisingly OK to get up so early. Hopefully that’ll continue through to Sunday. Unfortunately though heat in the middle of the Florida winter might be in the mid 20s, but it takes all day to get there. At 3:30am it was about 6 degrees and felt like 2 degrees. I am now the owner of a pair of Walt Disney gloves and a foil blanket in preparation for tomorrow’s run. After a cold and slow start - the race started at 5:30am but it was almost 6:30am by the time our wave inched past the start line - the race was over surprisingly quickly. No records were broken and there were a few photo stops, but we were still back at the hotel by 8am for breakfast. 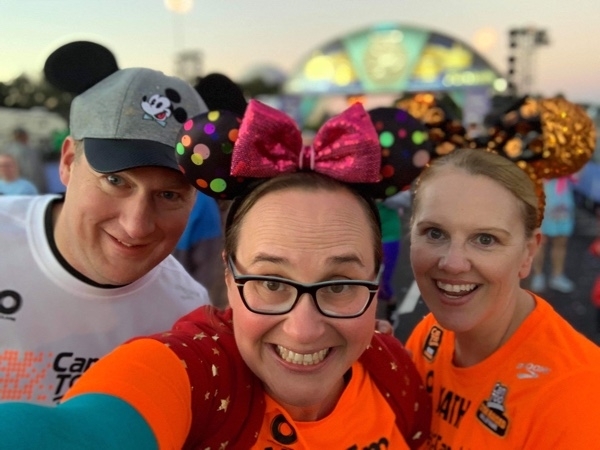 Instead of a nap and a quiet day like sensible people, we got our money’s worth out of the Epcot Center for the rest of the day, putting in another 15km on our feet walking around the parks! It’s 9pm now and I’m about to go to bed - another 3:30am bus awaits in the morning for the 10km race! There are some more photos at the bottom of this page. Thanks to everyone who has sponsored me, I really appreciate your support. 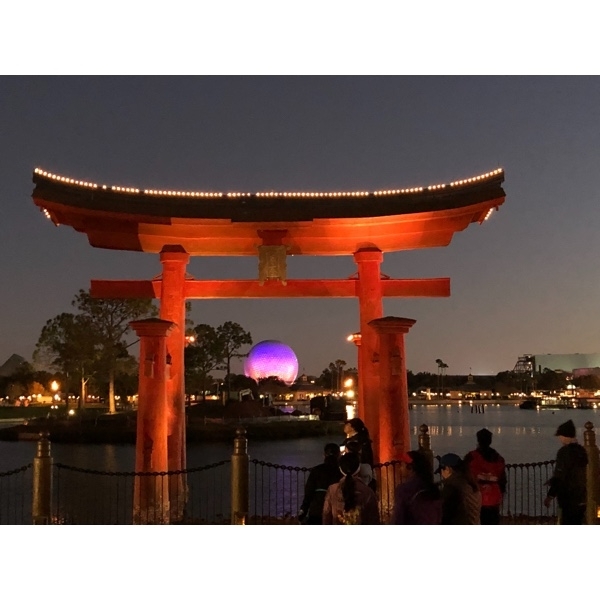 I’m really close to $4,000 now - and $10k for Team Disney is in sight as well! 60km weekend... now to taper! Happy New Year and thanks to everyone who has sponsored me! 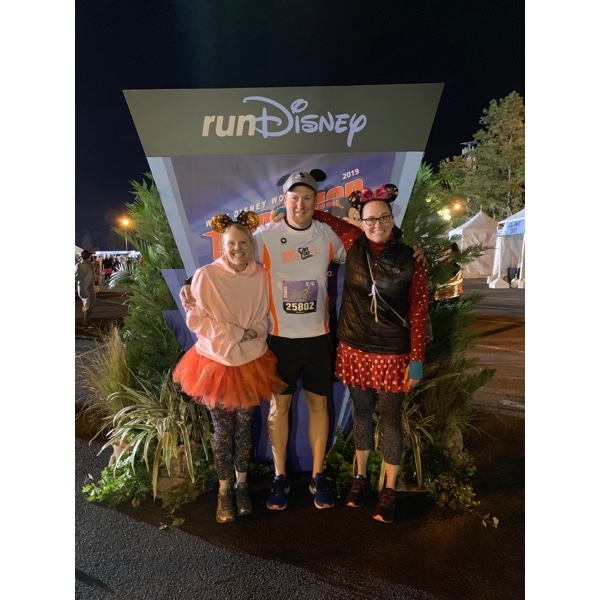 I'm well on the way to reaching my target and the four of us in Team Disney are half way to raising $10,000 which is fantastic. The weekend before Christmas was a long one... we did 5km on the Friday before work, 20km on the Saturday, and 35km on the Sunday 60km in all. This is where the training has been a lot harder than "just" a marathon, as the long runs are all back to back. 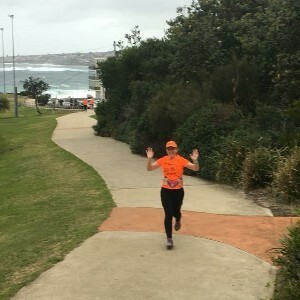 The Sunday run was pretty ordinary - despite leaving at 5am it was hot and humid by the time we finished, and in the leadup to Christmas I hadn't been as good about eating and particularly hydrating properly. I was going to say that at least it won't be so hot in Florida, but the long range forecast has it in the high 20's... not as hot as Sydney but still not ideal running temps! Now we can pretend we're real athletes and taper... 14km for the last run of 2018, 10km this coming weekend, and then fly to the States! Thanks again to all my sponsors - check back here next week and I'll let you know how the races are going! 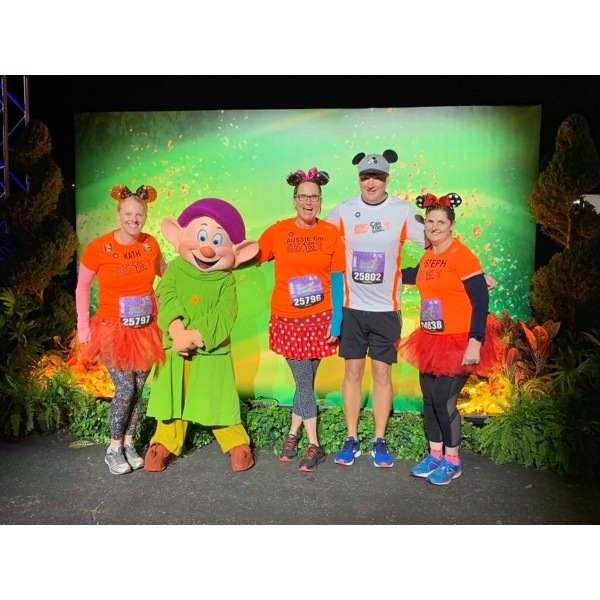 The response to my email/facebook posts has been amazing, testament not only to your generosity but also to the ridiculousness of the Disney Dopey Challenge! Did I mention it was 78.3km over four days and it’s getting rather close? Thanks very much to everyone who has sponsored me in this event and previous ones. 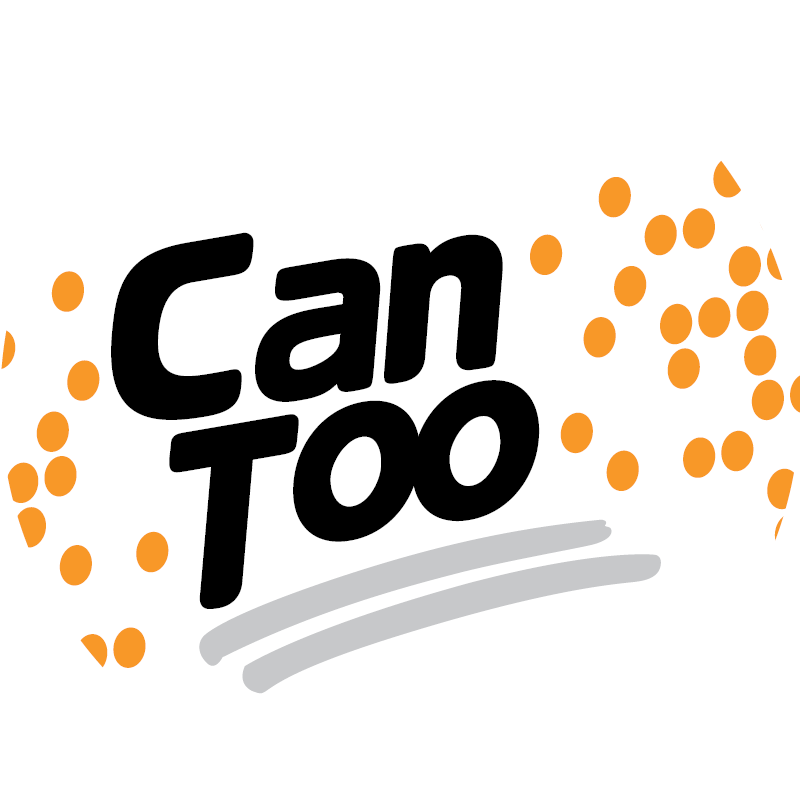 Late last week I reached $20,000 lifetime fundraising for Can Too which is phenomenal. Thanks to El & Alex for making the donation that pushed me into the $20,000’s! To celebrate, well not really, it was on the training plan anyway... we did 20km yesterday in what felt like 20,000% humidity. It was definitely a day for swimming not running, you could see the humidity hanging there over the harbour and when the sun came out an hour or so later it didn't help much! Only one more giant weekend of running and then we pretend we’re elite athletes and taper over Christmas. What could possibly go wrong! How long is your marathon this time? 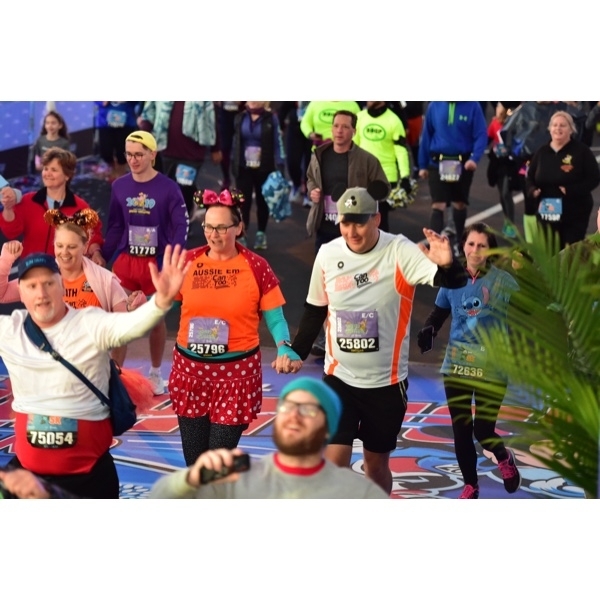 “How long is your marathon this time?” is a question that’ll raise an eyebrow of any runner. A marathon is a marathon is a marathon, and marathons are all 42.2km these days. “That’s a weird distance” is normally the next comment once you explain that all marathons are 42.2km and therefore all half marathons are 21.1km. It must be something to do with converting from miles. Well, not quite. It’s not a round number in miles either - the full marathon distance is 26.219 miles. It all started with Ancient Greek messenger Philippides. He apparently ran from Athens to Sparta (240km) to ask for help in the Greco-Persian war, and some sources say he also ran from Marathon to Athens (about 40km) with news of the defeat of the Persians, announcing “We've won!”... and then promptly dying. The modern Olympics sensibly went with the roughly 40km version, hopefully without the dying at the end, but distances were different each time. The 1908 London Olympics was supposed to be 26 miles exactly (41.8km) with a course starting at Windsor Castle to the stadium in White City. The extra 385yds was added so that the finish line could be in front of the Royal Box at the stadium, bringing it to 26.219 miles (42.195km).In 1921 the International Amateur Athletic Federation settled on 42.195km as the standard distance for a marathon, based on the 1908 race. 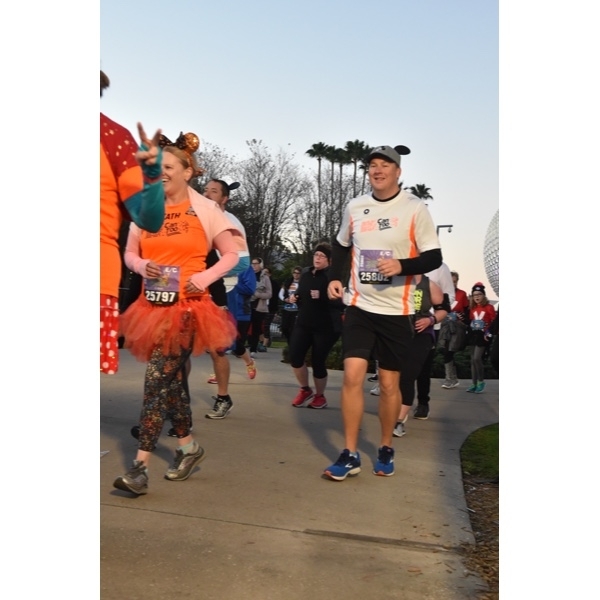 “How long is your marathon this time?” is a valid question for this event however as the Walt Disneyworld Dopey Challenge has the added complication of having a couple of runs in the lead up to the actual 42.2km marathon. 5km on the Thursday, 10km on the Friday, 21.1km on the Saturday, and then the marathon on the Sunday which is 78.3km over the four days. We did just over 50km this weekend to get ready for runnlng long distances on consecutive days. 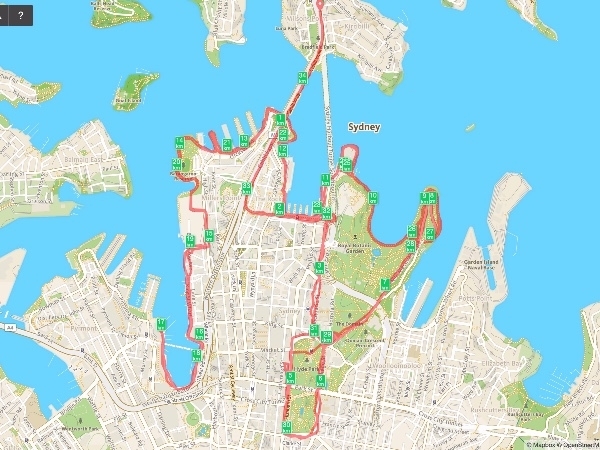 On Saturday we did 32km run over the Harbour Bridge, Hyde Park, Botanic Gardens, around the Opera House, through Walsh Bay and Barangaroo, and most of the way around Darling Harbour. Then back again. Just watching the video above is tiring! 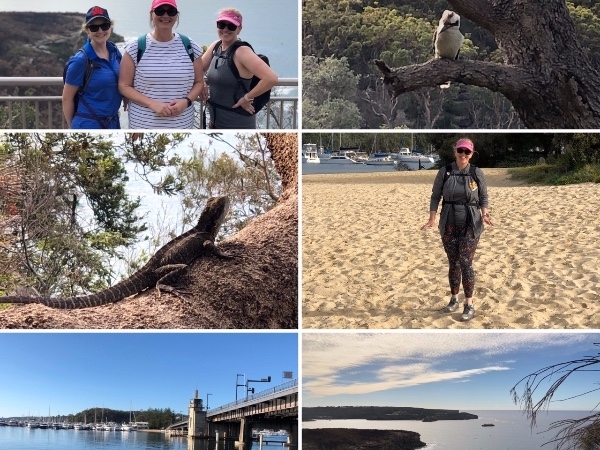 Yesterday we did the Spit to Manly walk which took in far too many stairs, but some great scenery as you can see in the photo at the start of the post. This morning I did a quick 6km jaunt around the city making it 50km over 3 days. Yikes. 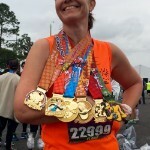 This weekend two years ago I ran my first and only (or so I thought at the time...) marathon. 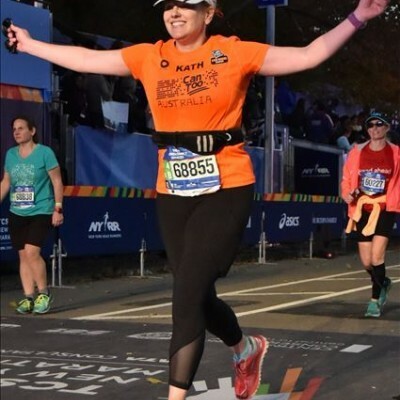 For a one and only marathon it was one of the best - the TCS New York City Marathon. It was the first overseas Can Too goal event and as a group we raised $200,000 for cancer research. Thanks to your amazing support my run through the five boroughs of NYC raised $4,446 for the Can Too Foundation. 78.3km in all, spread over 4 events in 4 days. - Thursday 10th January 2019: 5km. 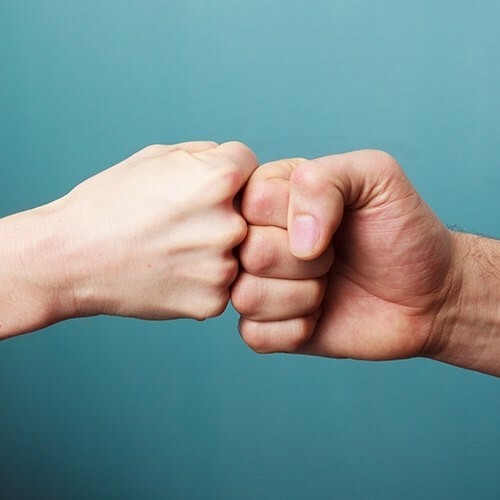 Everyone knows someone who has been touched by cancer. 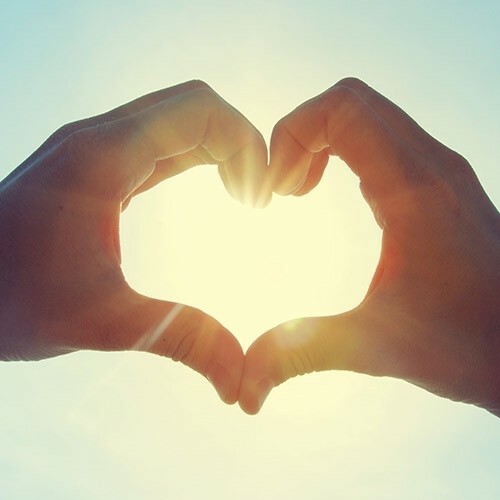 15 years ago this month my Mother died from breast cancer, a disease which thanks to some major leaps forward in prevention and treatment over the last decade and a half has a much better prognosis now than it did then. We fund our own travel and race entrance costs. 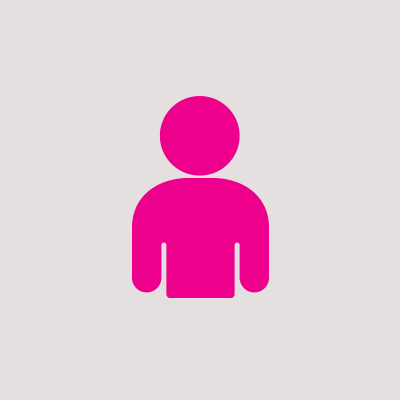 Every dollar you donate funds Cancer Research and Prevention. 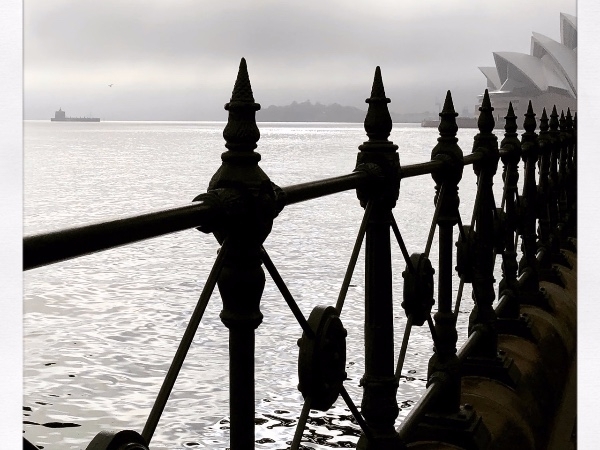 The Can Too Foundation gives grant funding to early career Australian Cancer Researchers, funding research projects into all cancers. Since it was founded a little over ten years ago, $20m has been raised, and 158 grants have been funded. Countless lives have been saved as a result. Read more about the research here. This will be my 11th run or swim to raise money for Can Too, and over the years I've raised over $18,000 thanks to your generosity. I hope to break through the $20,000 mark with this one. Where do those running genes come from? Amazing!! What a runner you have turned into. Go Tom!!! Amazing cause, amazing effort! Keep those hammies stretched TB!! Hope the runs go really well. You are amazing!! He's an inspiration to us all! Well done Tom! Great achievement. Tom - what a great cause! 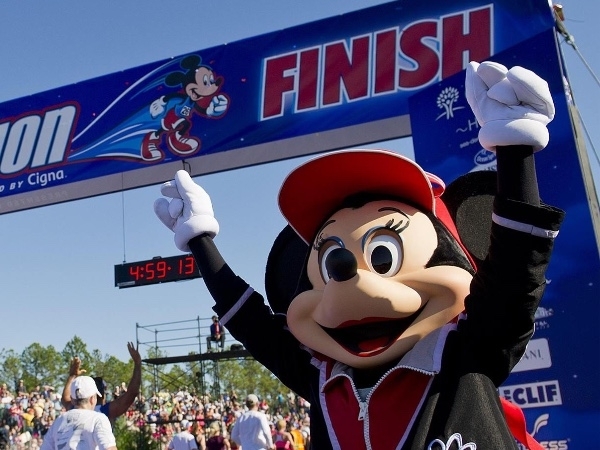 Best of luck and say hi to all of the rides and Disney characters as you run around the course! Well Done Tom! Keep on running! Good luck Thomas. You're very brave to take on this amazing challenge! Enjoy the journey Tom! An extraordinary effort and committment for a wonderful cause. An utterly bonkers 4 days - good luck! Well done on doing another run, Tom! Great cause Tom - good luck - have fun! Don't die. Run well in January Tom, it’s a great cause. Enjoy. Good luck Tom, run like the wind! Wow, super human effort Tom! All the very, very best with it! Great cause Tom, you have already scored a big win... wishing you and your team a fun time on the day. Good luck Tom! A very good cause.